When President Emmerson Mnangagwa took over from former president Robert Mugabe, he was received with much zeal and hope. In his inaugural speech, he promoted the slogan the "Voice of the people is the voice God." This literally meant that he was going to be a listening president. Fast forward to the just-ended Zanu-PF's annual people's conference, one is bound to conclude that if anything, Mnangagwa is never about the economy as he wants the nation to believe. He is all about power and nothing else. He seems to have read well from his former boss. While $3,5 million which was spent on that event alone is insurmountable, the thought of hundreds of flashy newly-acquired party off-road vehicles and buses which swamped the conference, clearly show how the ruling Zanu-PF has prioritised politics ahead of the economy. Worse still, this comes at a time Finance minister Mthuli Ncube is religiously preaching the austerity for prosperity gospel. The slogan "ED 2023, 2023 ED-PFee" dominated the event. Not to be outdone was the song ED-PFee which was repeatedly played at every interval and ED himself seemed to be enjoying a flurry of unrelenting praises and endorsements which used to be synonymous with his predecessor. With five months in office, Mnangagwa has already been affirmed as the party's presidential candidate for the 2023 elections. Strangely, the ruling party also resolved to have preparations for the 2023 harmonised elections to begin in earnest. Such is how Zanu-PF has over the years put power retention ahead of everything Zimbabweans can think about. 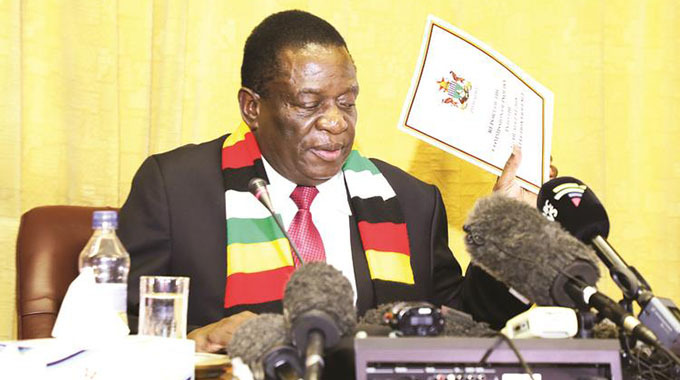 The two resolutions undoubtedly and unnecessarily get Zimbabwe into perpetual election mode and that doesn't augur well with Mnangagwa's claim that Zimbabwe is open for business.